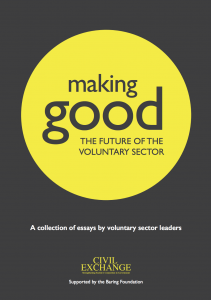 Collaborate’s Executive Director Dr Henry Kippin contributes to a volume of essays, Making Good: the future of the voluntary sector, which was published by Civil Exchange on 10 November 2014. 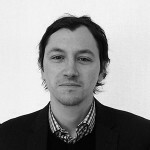 This report includes expert contributions from third sector leaders including NPC’s Dan Corry, Locality’s Steve Wyler, and ACEVO’s Sir Stephen Bubb, about the current challenges facing the sector and creative solutions for its continued growth. Click here to read the essays.